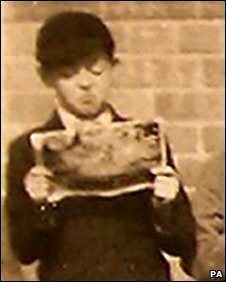 A schoolboy Paul [McCarthy] is seen engrossed in a comic surrounded by classmates from Joseph Williams School, Liverpool, in the picture, taken in 1952. A woman recently took it into The Beatles Shop - a few metres away from the original Cavern Club in Liverpool. It will be among 315 items of Beatles memorabilia auctioned on 29 August.